Stylist & Salon professionals only. 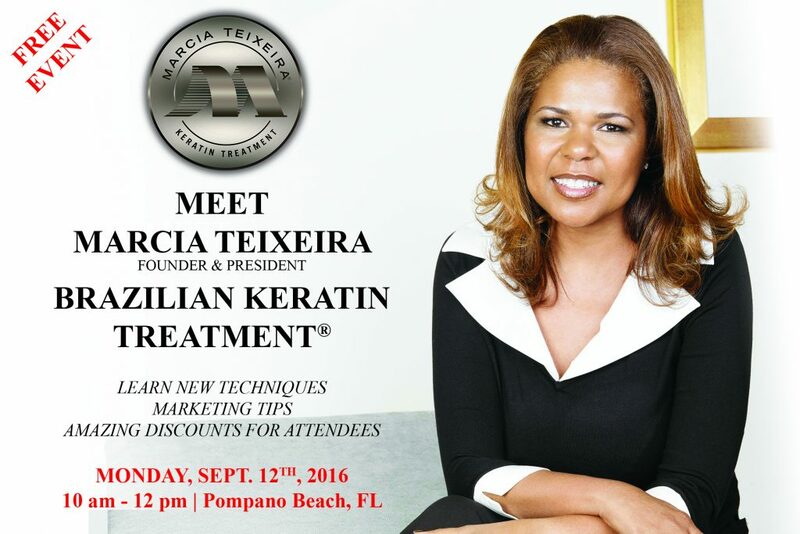 Join us at the Marcia Teixeira® Corporate office for a special presentation from Marcia Teixeira and the team as they demonstrate and guide you in building or freshening up your skills in the original Brazilian Keratin Treatment®! **Learn marketing tips to increase keratin business year round! **Special discount the day of the class for those who attend. **Snap a selfie with Marcia Teixeira the creator of the original Brazilian Keratin Treatment®. **Personally ask Marcia Teixeira all questions about keratin. Founded in 2006, Marcia Teixeira® has grown steadily to become one of the top most trusted keratins internationally, with established users in over 50 countries world-wide.